Which Air Freshener you use for your home or office? Well, artificial air fresheners may make your home smell fresh and inviting, but, a new study has found they can also contain harmful toxins which cause migraines, asthma attacks and earaches, along with contributing to pollutants in the air. Fragrant house plants, such as lavender and mint, are a natural and eco-friendly alternative to air fresheners. Such plants also boast hidden health benefits, including preventing dry winter skin, reducing air pollution, countering sleep deprivation and even easing the pain. Here are the 5 of The Best-Smelling Houseplants you should keep in your rooms, officer chamber, etc. Gardenia (Gardenia jasminoides) is an ingredient in many popular perfumes. 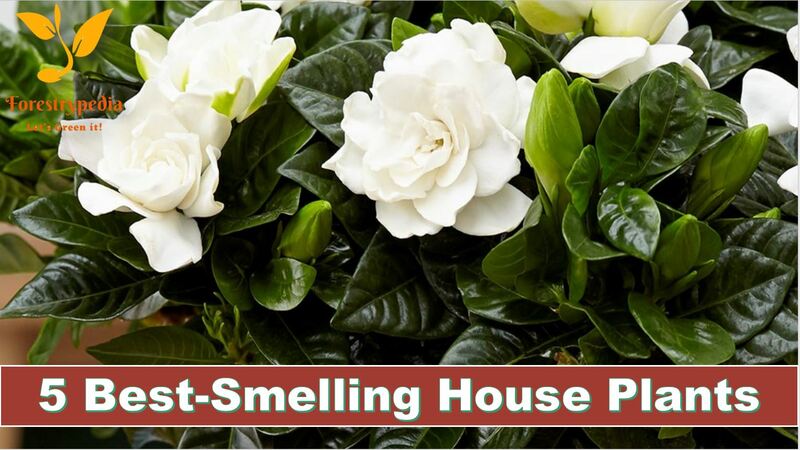 It has a heady sweet-smelling aroma that can keep households smelling fresh for months. To keep the plant healthy, it’s important to expose it to regular bright light and water once every week. With its distinct calming and soothing scent and widely recognisable purple flower tips, Lavender emits one of the most popular fragrances from a plant. Keeping lavender on a window is key to it growing indoors as this should ensure it gets the high level of sunlight it requires. Citrus plants emit the sweeter smells of lemon, orange and grapefruit but having these radiate throughout a home can require a high level of plant maintenance. When growing indoors, be sure to provide at least eight hours of sunlight per day with one soaking every week. One of the best alternatives for households that don’t like a traditional flowery fragrance is the fresh smelling mint plant (Mentha piperita). The two most popular scents are peppermint and spearmint which both emit delicate aromas. Mint Plants do require a significant amount of plant maintenance – that means three to four waterings every week. With unique scents such as apple, lemon and strawberry, homeowners would be forgiven for thinking they were choosing from a range of air fresheners, not sweet-smelling plants. That’s because there is a range of Germaniums that come with their own unique fragrances, leaving homeowners with a wide variety to pick from. The scented plants are split into seven main categories depending on their smell which are rose, lemon, mint, fruit and nut, spice, pungent and oak. Water once every four weeks to keep them healthy.